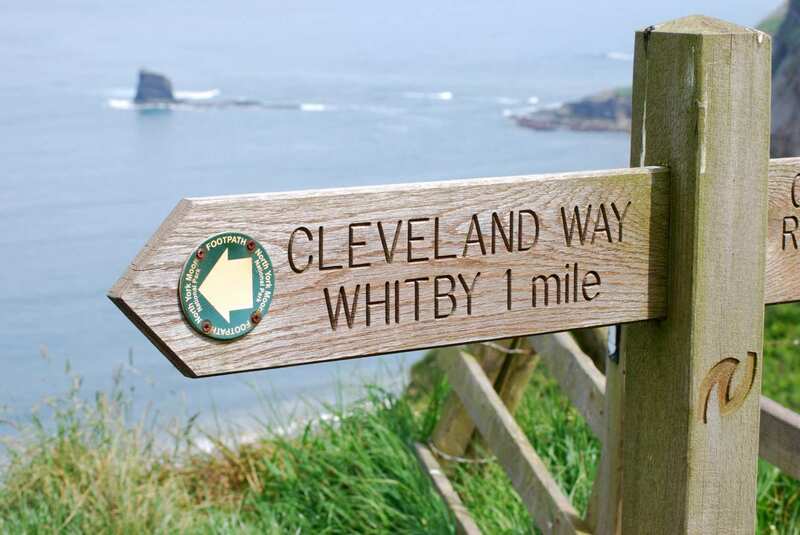 Walk the coastal half of the Cleveland Way on a reduced-length self-guided walking holiday. Accommodation, luggage transfer and custom holiday pack included. 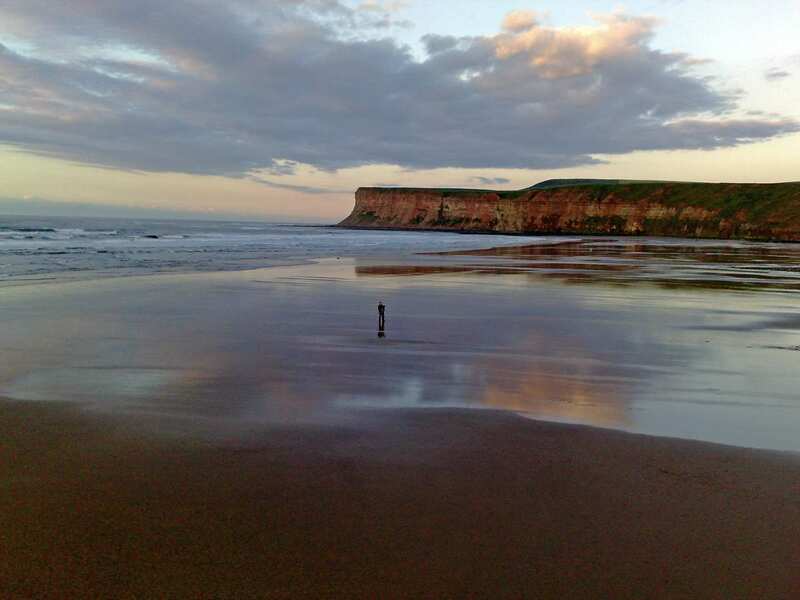 A self-guided walk along the stunning Cleveland Heritage Coast from Saltburn-by-the Sea to Filey. 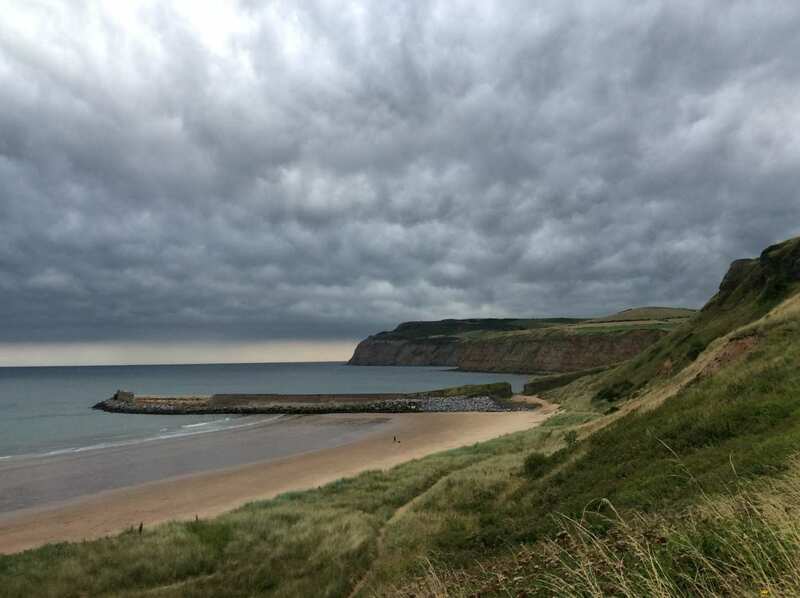 The Heritage Coast Section of the Cleveland Way begins in the Victorian seaside town of Saltburn-by-the-Sea and follows the rugged cliffs to Filey. 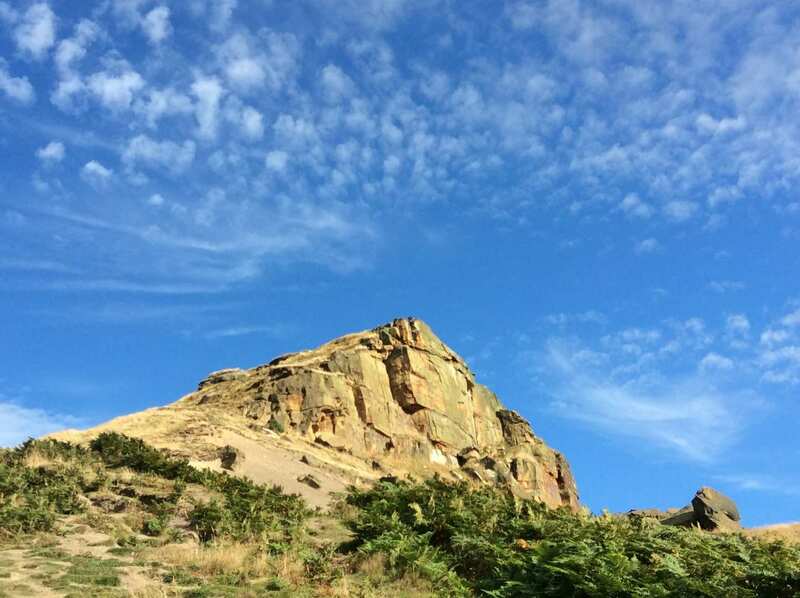 While the scenery throughout is beautiful, some of the best views can be seen from Boulby, the highest cliffs in England. 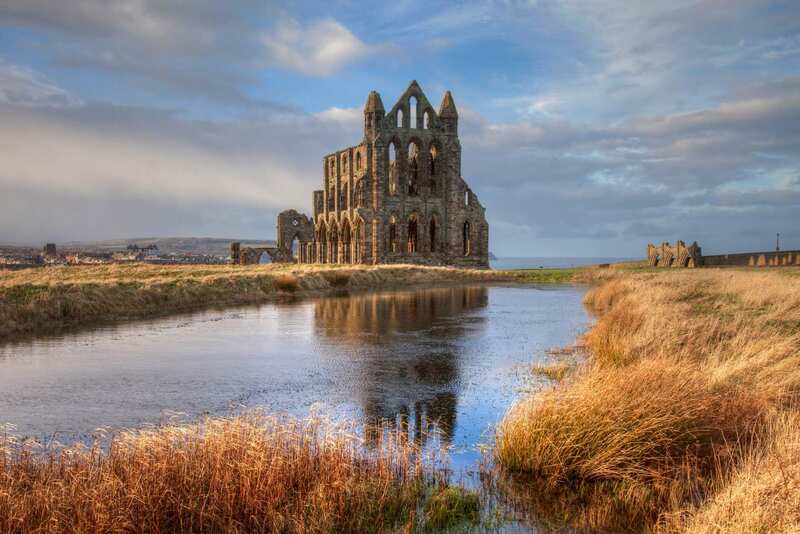 Locations of particular interest include Whitby, boasting amazing history, heritage and folklore, and the seaside resort of Scarborough, with its ancient castle providing panoramic views over the Yorkshire coastline. 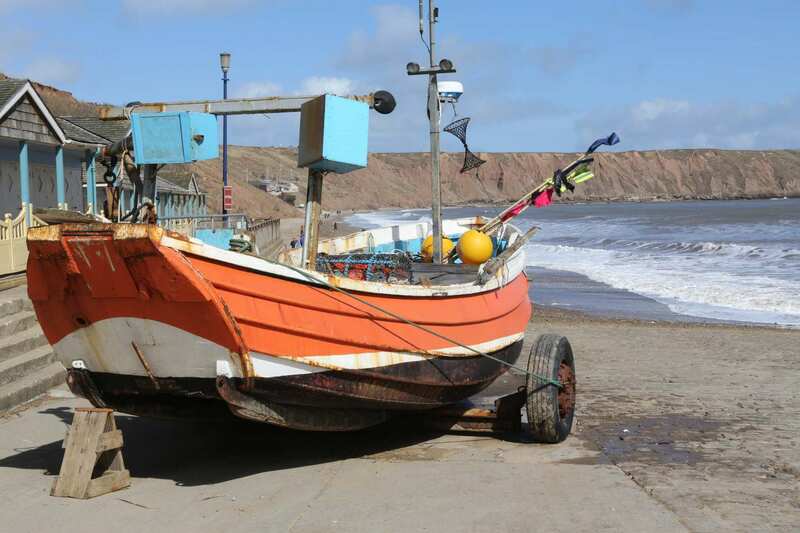 This walk, marked by picturesque fishing villages and with a wealth of maritime and literary history, is a fantastic way to experience the Cleveland Way. Dog friendly itineraries are available for this route. Look for the pawprint icon when choosing your itinerary. Please note that dog friendly walks may require more transfers than standard tours. Admiring the extensive views from Boulby, the highest cliffs in England. Wandering through the fascinating features of Whitby, including the whalebone arch, Whitby Abbey and St Mary’s Church. Experiencing the many quaint fishing villages and lively coastal towns along this spectacular piece of Yorkshire coastline. This itinerary lists our preferred overnight stops for this tour. Sometimes there may be a shortage of available accommodation in a preferred location, in which case we will transfer you from the trail to your accommodation and back again at no extra charge. Overnight stops marked with a (T) will always require transfers as standard. The daily mileages quoted are average trail miles only and do not include the distance from the trail to your accommodation. We do not expect you to have to walk more than a mile from the trail to your accommodation; should your accommodation be further than this, transfers will be provided as standard. 5 nights accommodation in en-suite rooms (where available) in selected B&B’s, hotels, inns and guesthouses along the trail, or a short distance away via taxi provided at our expense. Door to door luggage transfer. Maps with the route marked on and a guidebook or route notes describing the trail. An information pack containing an itinerary, instructions on how to find your accommodation each night and a kit list. Detailed travel instructions on how to get to the start of your holiday and back from the end of it. Robin Hood's Bay, with its narrow streets and red-roofed cottages staggering down the cliff-edge to the sea is a good choice for an extra night. If you fancy somewhere livelier, consider the bustling resort of Scarborough. By Air - The most convenient major city and international airports are Leeds-Bradford, Manchester and Durham Tees Valley. By Rail - There is a rail station at the start of the trail (Saltburn) and also at the end of the trail (Filey). By Bus - Various bus services run to Saltburn-by-the-Sea and from Filey. From London - Trains run from London Kings Cross station to Saltburn. Return To The Start - The easiest way to return to the start of the trail, is to catch a train from Filey to Saltburn-by-the-Sea. MetCheck - This website allows you to look up detailed weather information for specific locations as far as six months in advance. Met Office - This website shows regional area forecasts a few days in advance, with a general UK forecast description of up to 30 days in advance. Mountain Forecast - This website shows what the forecast is like up on specific hills and fells, and offers forecasts a few days in advance.